Bonta, J. P. (1975). Anatomia de la interpretacion en arquitectu resena semiotica de la critica del pabellon Barcelona de Mises van der Rohe, anatomie de la interpretacion en arquitecture Gili. Barcelona. Gessel, P., Leuthauser, G. (2005). Architecture. The 20th century. Taschen. Mies van der Rohe. (1952). A tribute to Frank Lloyd Wright. College art journal, 6(1), 41–42. LEZHAVA, Ilya. The Symbol of Modern Architecture. About the Barcelona Pavilion by Mies van der Rohe. 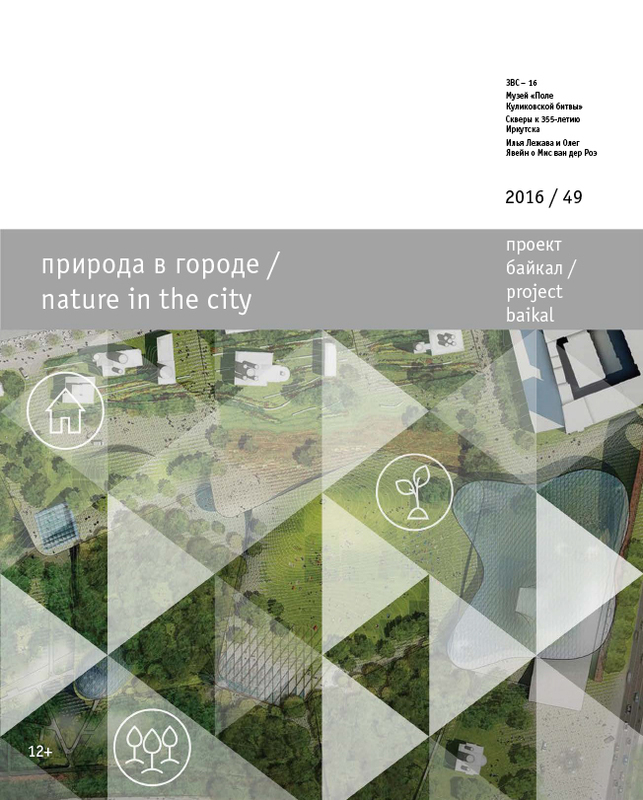 project baikal, Russian Federation, n. 49, p. 168-175, aug. 2016. ISSN 2309-3072. Available at: <http://projectbaikal.com/index.php/pb/article/view/1074>. Date accessed: 23 apr. 2019. doi: https://doi.org/10.7480/projectbaikal.49.1074.